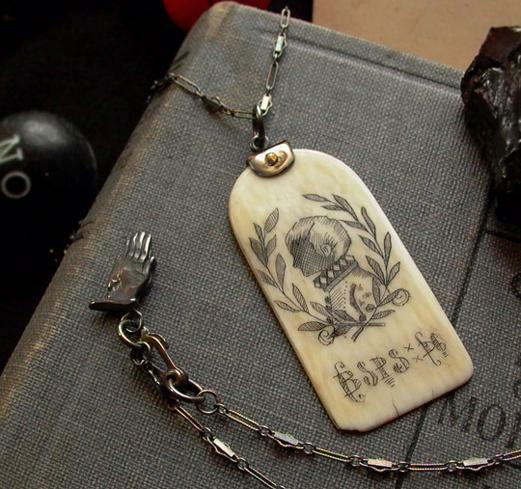 Black-Hearted Son Necklace — 1 7/8" by 7/8 Inch Scrimshaw on 1920's Pre-Ban Vintage Ivory Piano Key w/ Sterling Silver Back, 18k Rose Gold Rivet, 24 Inch Sterling Chain with Praying Hands Charm, Handcrafted Linden Wood Book Box. Limited Edition. Originally $685-Now on Sale!